Hypertension is another word for high blood pressure. When a doctor tests your blood pressure, they are looking for two things. They are monitoring how much blood your heart is pumping, and how much resistance that blood is facing within your arteries. The more blood your heart has to pump, and the narrower your arteries are, the higher your blood pressure will be. A normal blood pressure measurement is 120 over 80. Anything at or above 140 over 90 indicates the onset of hypertension. 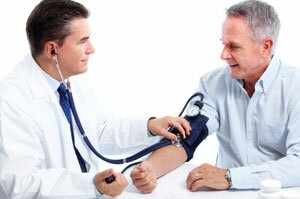 Hypertension can be debilitating and even life threatening. If you're struggling with high blood pressure, please call 810-238-4172 or request more information online.